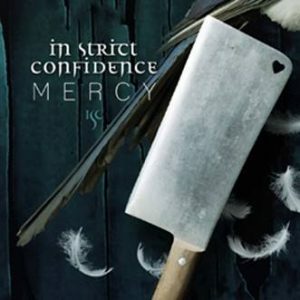 In Strict Confidence present themselves extremely electronic with “Mercy” as a harbinger for the All new album to be released a little later. The sound is gripping, crunching and grooving in the ear. Larded with remixes of Solar Fake, yelworC and Caleidoskop, among others, non-album tracks and the ISC-typical “Extended Version” can also be found on the 7-track EP. A bombastic video clip from producer and director Dennis Ostermann, who has received several awards and nominations for his music videos, will accompany the release on time. Stefan Heilemann aka Heilemania was responsible for the artwork, most recently for the album “The Hardest Heart”, and most recently also visually realized the works of Rammstein Singer Lindemann´s or Kamelt´s.